This photo could turn you vegetarian. This is just wrong, creepy, and somehow hilarious all at the same time. 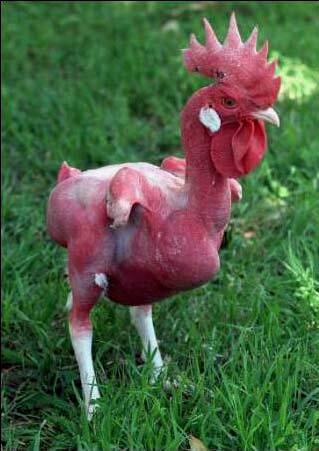 Through selective breeding, the featherless chicken was created as a prototype for a new chicken breed that could be faster-growing and ‘environmentally friendly,’ meaning the energy that would otherwise be lost to the feather-plucking process could be conserved. We think there just might be better ways to go greener. 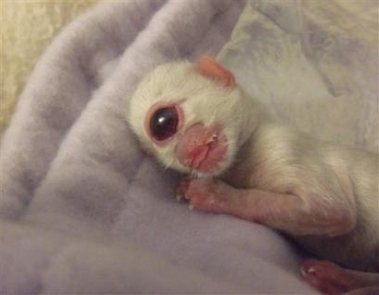 Featherless chicken nuggets anyone? 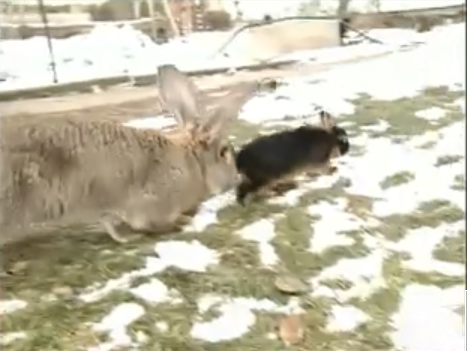 Behold, the Giant Rabbit. 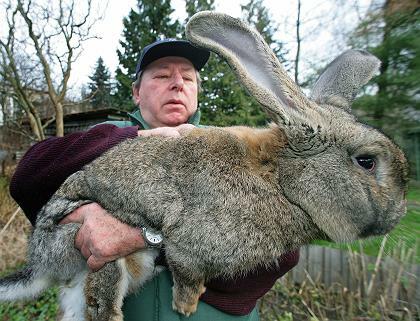 Carl Szmolinsky of Germany breeds these monster bunnies that are literally the size of a dog. 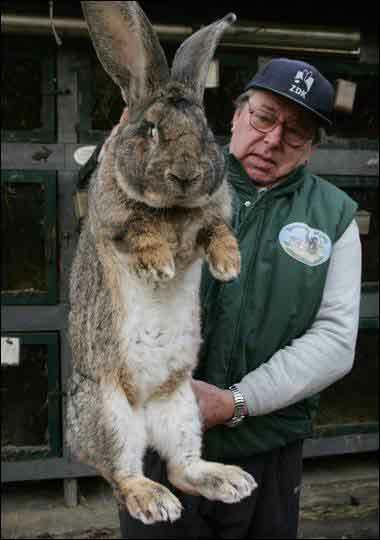 No matter how many times we look at photos of these giant rabbits, they never cease to amaze us with their massive size. This particular specimen might be larger than a first grader. Twice as cute or twice as creepy? One brain or two? Do the kibbles go down a single esophagus? 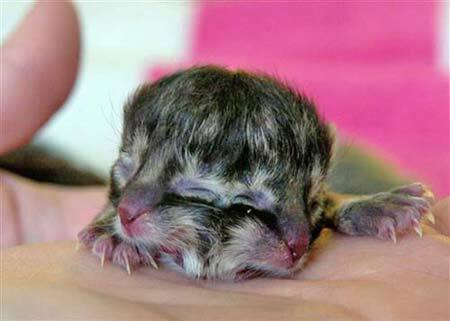 Poor little…kitty…kittens…kitty.